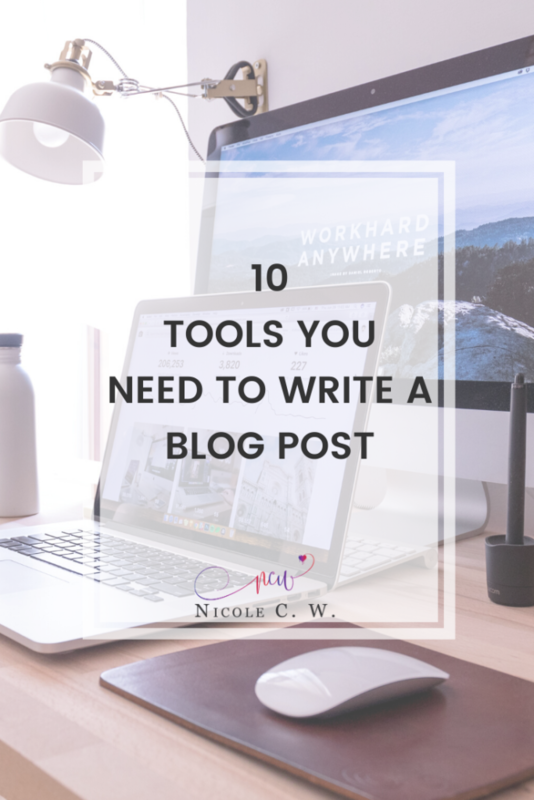 10 Tools You Need To Write A Blog Post | Nicole C. W.
Writing a blog post is not simply writing a blog post. There are many steps you need to do. And many tools you need to use to complete those steps. Today, I’ll show you the various tools I use while writing this blog post itself. Disclosure: Some of the links below are affiliate links. I will earn a small commission, at no extra cost to you, if you purchase through these links. Your support encourages me to continue blogging and help with the costs of hosting this site. Thank you! 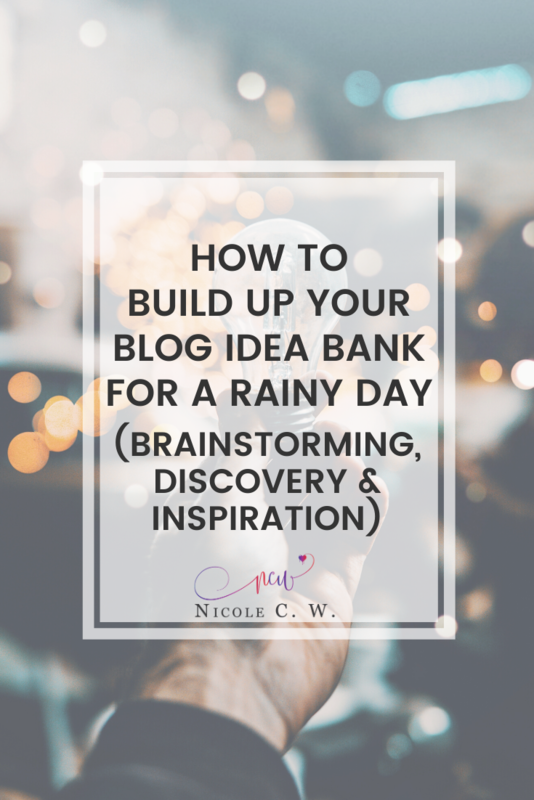 Before writing a blog post, you can always brainstorm some ideas or topics. Or pull one out from your bag of blog topic ideas (I write down random ideas and now my list of blog topics is quite long~). Or even expand on a comment that someone has left on your previous blog post. 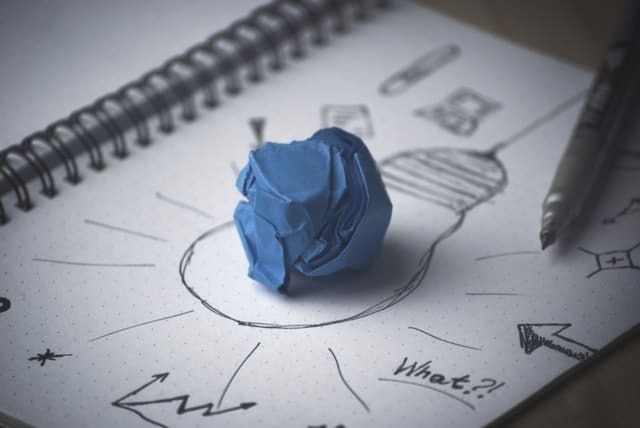 This is a great way to start thinking about what to write for your next blog post. But more important than that is Search Engine Optimization (SEO). 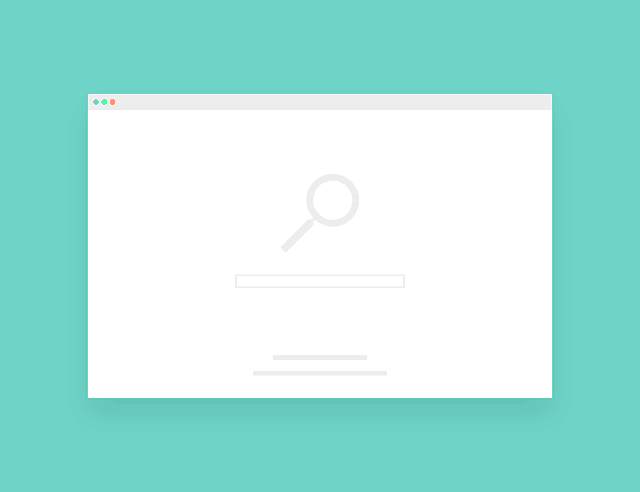 If you want your site to appear on the first page or the first position of Google Search results, you will need to do a thorough keyword research before spending time to write your blog post. It’s where you lay the foundation for a successful blog post. 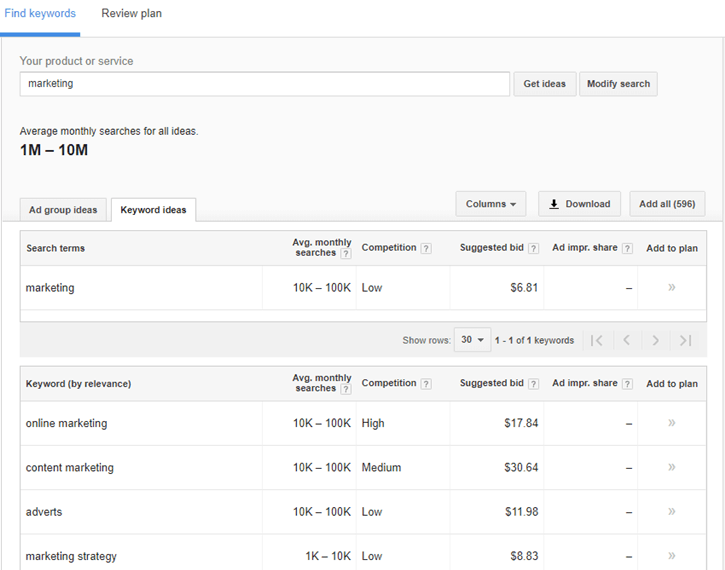 The Keyword Planner tool in Google AdWords is one free tool that you can use to conduct your keyword research. It’s actually meant for generating keyword ideas for Google Search campaigns. 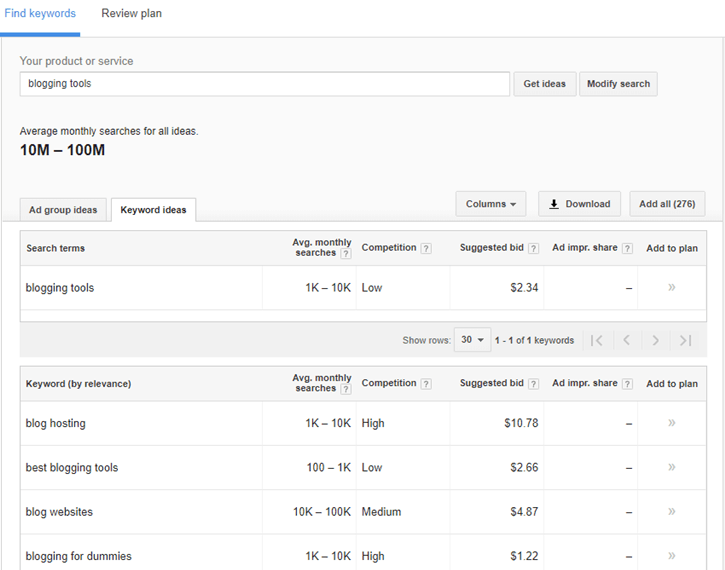 After you log into AdWords, click on Tools then open Keyword Planner. There are many options for you to choose from. But I usually choose the Search for new keywords using a phrase, website or category. Simply insert some keywords and a list of related-keywords will appear. You should focus on the keyword and the average monthly searches columns. Avg. Monthly Searches: A high number means many people are searching this term while a low number means few people are searching this term. You can also hover over the graph to see the trend for monthly searches. The other columns are more for advertisers. Therefore, Keyword Planner gives me a list of related-keywords that I can add to my blog post. This is useful if I run out of ideas and don’t know what to write for my next blog post. Based on the average monthly searches, I can find out topics that have high search volume. Meaning, there is a large pool of audience out there who are interested in finding out more about online marketing and content marketing. And boom! There you have it. The central topic of your next blog post. Yes, Keyword Planner is good at finding search volume. But there was something missing: how difficult it is to rank for that keyword. And that’s where KWFinder comes in. What I love about this tool is the KD metric! This metric tells you the Keyword SEO difficulty. A low number means you can easily rank for that keyword. A high number means your chance of ranking for that keyword is very slim. Almost abysmal. There are other metrics too like Trend, Search, CPC and PPC which are almost similar to the ones in Keyword Planner. After you’re done with your keyword research, you can move on to actually writing your blog post. 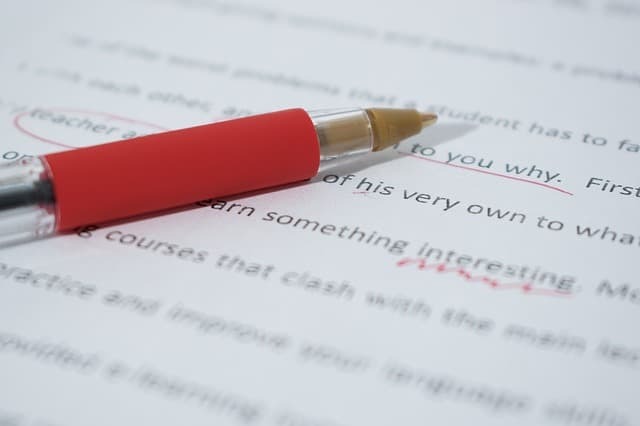 While you write, it’s best to have some writing tools that help check your spelling, grammar and punctuation. You don’t want to be ridiculed as a blogger who can’t write. You want to be seen as a professional blogger. There are 25 in-depth reports (including plagiarism report). Or if you’re lazy to read through every report (like me), simply look at the summary report. It includes all the important statistics and key actions. Supporting both Mac and Windows, ProWritingAid can easily integrate with Microsoft Word, Google Docs and more. 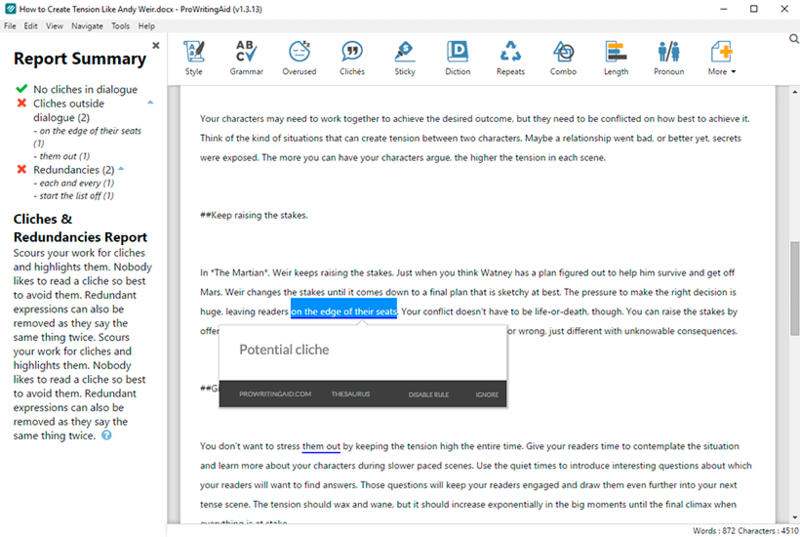 The free version allows you to edit 500 words at a time and can only be used online. While you write, do ensure including those keywords that you found earlier. Sprinkle them at the beginning and end and throughout your blog post. 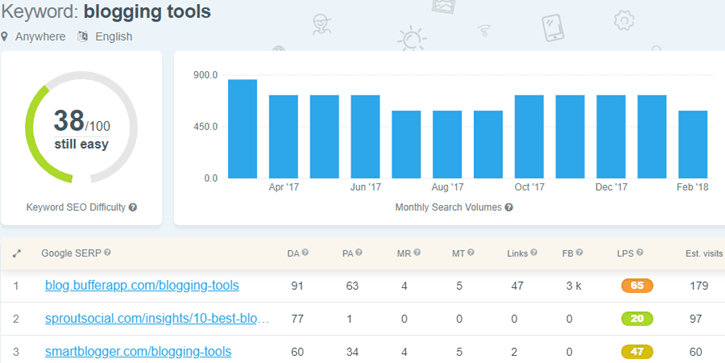 If you want to improve your site’s SEO, I recommend downloading the Yoast SEO plugin. 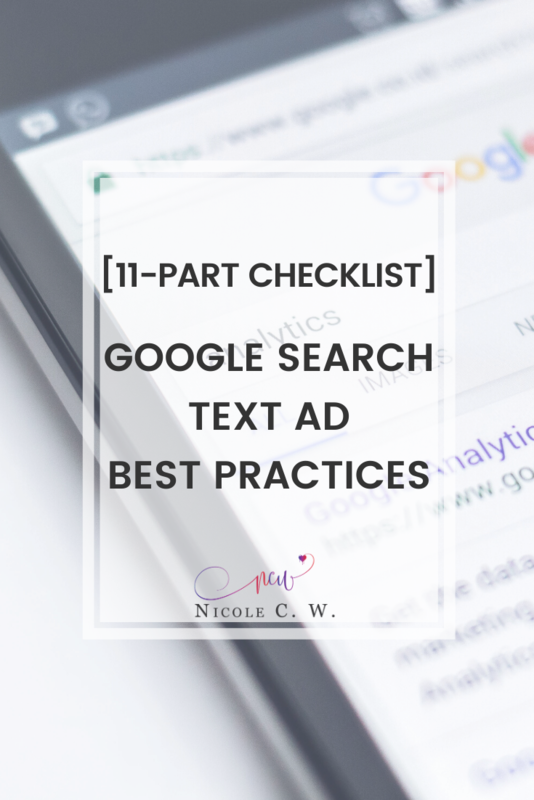 I fill up the title and meta description when I finish writing my blog post because by then, I’ll know how to summarize the article. And this is how my post will look like in Google Search results. You can also customize the title, description and image for Facebook and Twitter. Just ensure that you’ve enabled adding meta data for Facebook and Twitter under the Social Setting. Also, do look through the readability analysis and SEO analysis. You don’t really have to make all the bullet points green. Just try your best! The SEO analysis appears only if you add a focus keyword. If you’re using the free version, you can only choose 1 focus keyword and it can’t be too long either. Because obviously, I won’t include the entire long-tail keyword like ‘blogging useful tools’ every time I mention blogging tools. That sounds forced and unnatural. And you don’t want that. 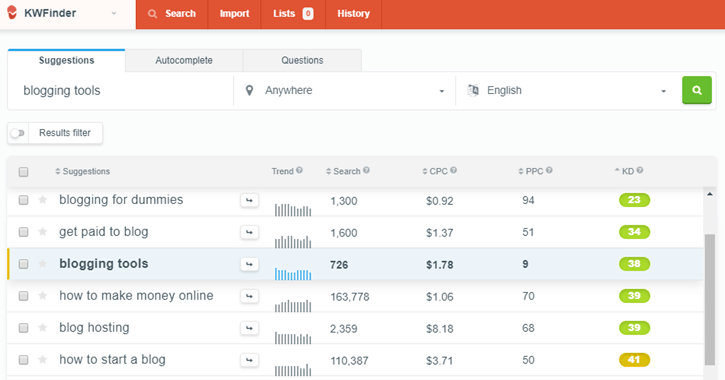 The premium version, however, allows you to add up to 5 focus keywords. 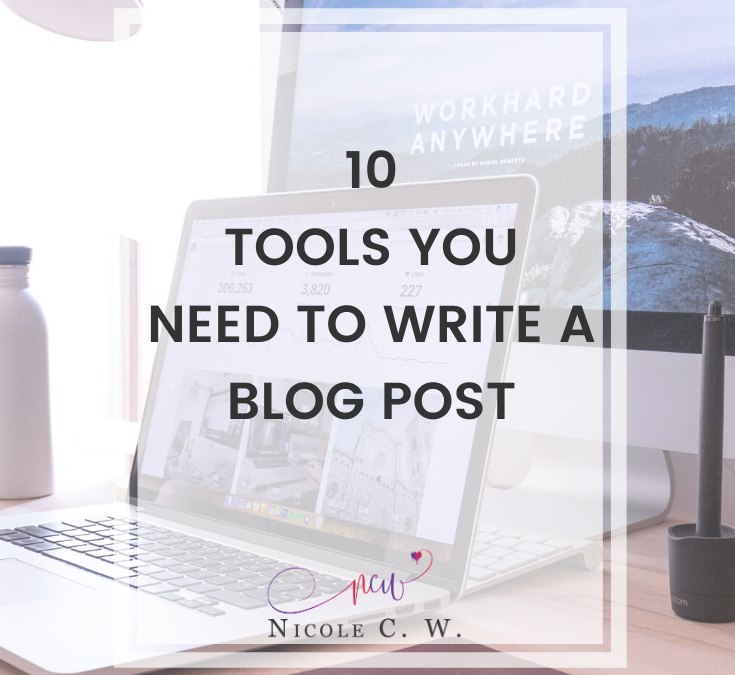 So you can add ‘blogging tools’ and ‘useful tools’. Remember, your blog post is written for readers. Not for some search engine like Google. To encourage readers to share your post, you can create some share-worthy graphics. Especially for image-focused social networks like Pinterest. Canva is my favorite tool to create graphics. It’s free, pretty and has templates for various social networks. I usually create the graphics before publishing my post. So that I can insert those graphics into the body content and readers can share those posts immediately when I announce my latest blog post. Wait, hitting that ‘Publish’ button doesn’t mean you’re done. In fact, you’re far from done. 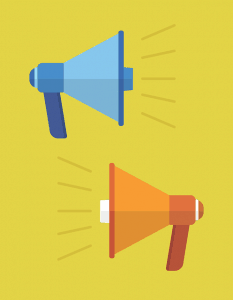 Every time you publish a new blog post, remember to announce it to your readers. If possible, try to customize your message for each social network. For example, you might write a shorter message for Twitter due to its character limit. I use MailerLite, an email marketing tool, to send emails to my readers. These loyal fans will be the first to know about my latest blog posts. I also separate them into different lists: entrepreneurship, marketing and self-publishing. So only those interested in the topic will get notifications (and they don’t feel bombarded with unwanted emails). The free plan allows you to send unlimited emails up to 1,000 subscribers. Plus, you have access to all features including automation (where you set up a sequence of welcome emails). And you actually save more in the long term! Just compare their pricing with other email marketing tools. You pay much lesser for the same number of subscribers. You can use these social media management tools. The free plan allows you to add 3 social networks. And you can do so much with these tools! 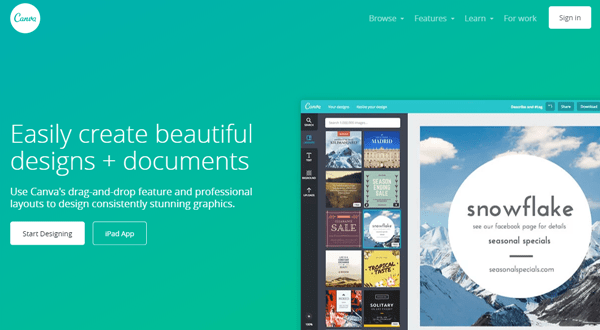 Beside all these tools that are needed for writing a blog post, here are some other tools that you should have. There are times when you might have changed your blog post’s URL or times when you referenced some other article and its URL was changed. With Broken Link Checker, you can find broken links and quickly fix them. By fixing these broken links, you avoid getting penalized by Google (where your site ranking might fall). Also, these broken links are like lost opportunities. Not only do you create a bad user experience for your customers, you might seem less credible and hence, lose these sales opportunities. There are numerous project management tools like Trello and Wunderlist. But my favorite is Asana. I use Asana for professional stuff like blogging and self-publishing. Where I include all the steps required when publishing a new blog post. 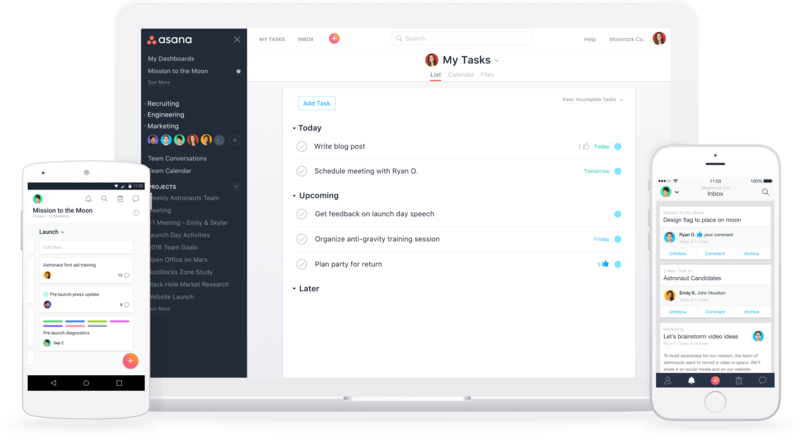 The to-do lists in Asana are more comprehensive with links to KWFinder, screenshots of the keyword research and many subtasks. On the contrary, my own personal to-do lists are in Google Keep. It’s not as wordy. With labels like family, finance and food. If you’re already using G Suite for your business email, you might as well use its other Google apps! So do explore and try out the various tools. Then, use the project management tool that fits your needs. What other tools do you use when writing a blog post? Leave a quick comment below and let’s grow our blogs together. 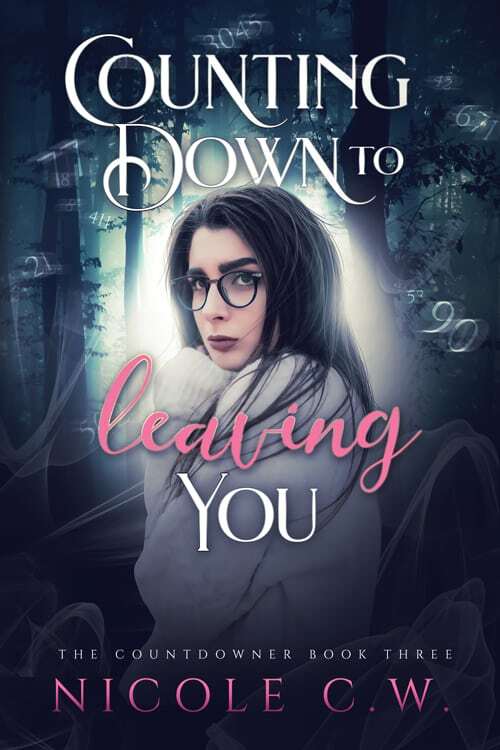 I’m Nicole, a paranormal romance author who blogs about starting an online business, marketing your brand/products/services and self-publishing books. © 2017-2019 Nicole C. W.
Unauthorized use and/or duplication of this material without express and written permission from this website’s author and/or owner is strictly prohibited. 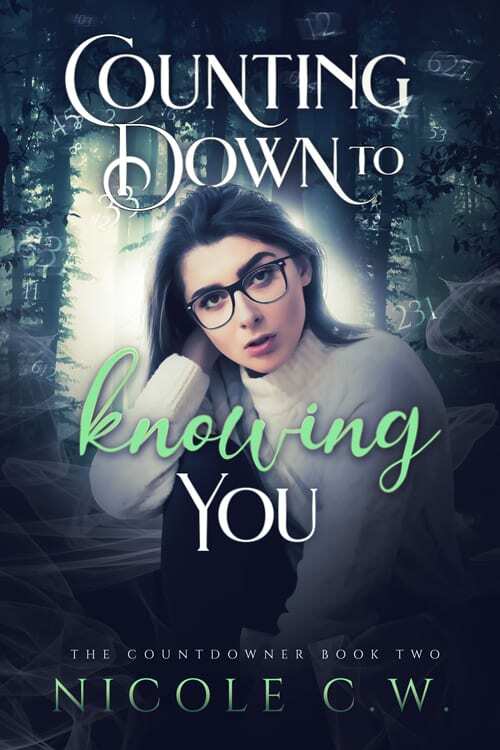 Excerpts and links may be used, provided that full and clear credit is given to Nicole C. W. with appropriate and specific direction to the original content. Nicole C. W. All Rights Reserved. 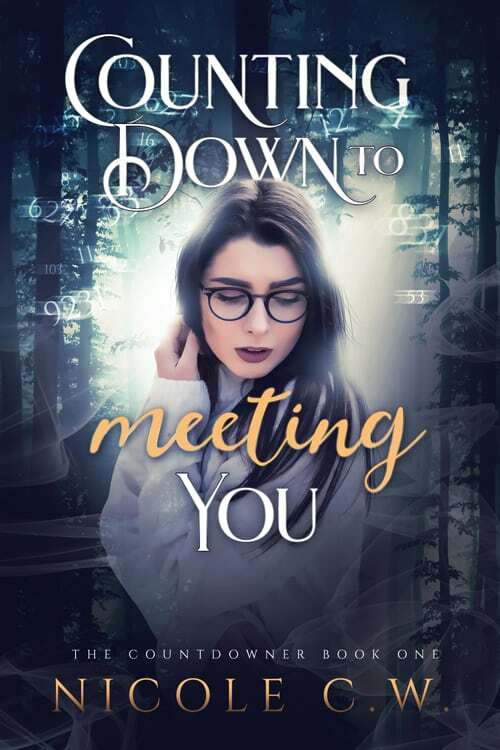 Be the first to know about hot new releases, tips from my blog and more.